The beautiful and bright apartment ‘Casa Bahia' is situated right on the sea next to the Alcanada Porsche-golf course. 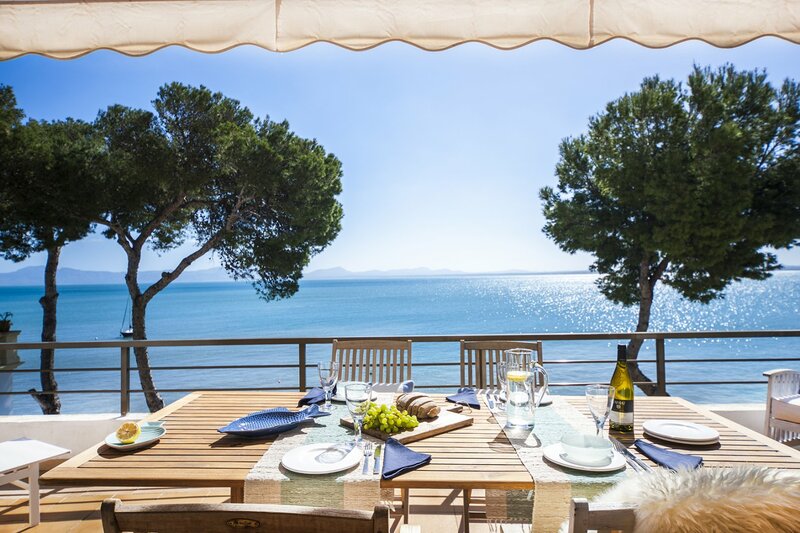 From the terrace, with sun all day long, you have a panoramic view of Alcudia bay. The sandy beach with beach bar is only 50 meters away. In the morning you can buy freshly baked bread at the small supermarket which is a short stroll away along the sea. 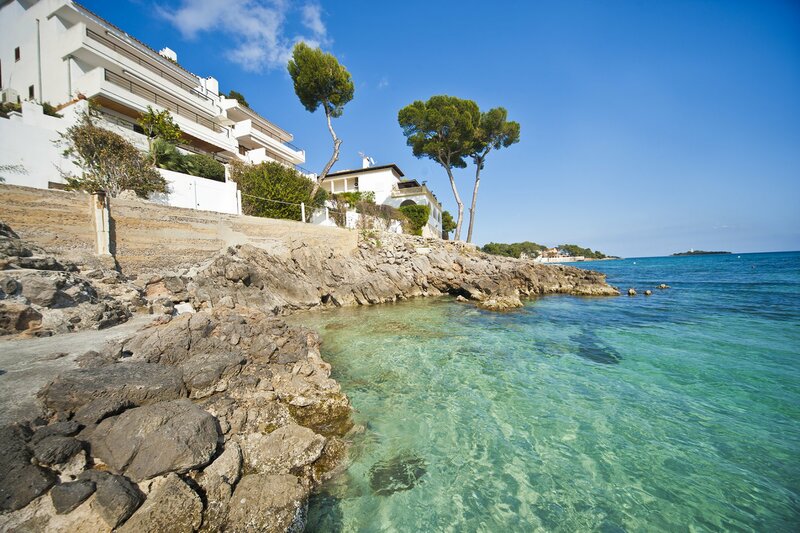 In front of the apartment the sea feels like a natural pool with stairs to get in and out of the water. There are 2 bedrooms (2 double beds) and two bathrooms, one of which is en suite. The living/ dining area has French doors opening on to the terrace and there is air conditioning warm/cold. There is a fully equipped kitchen with dishwasher & washing machine and direct access to the private terrace. The apartment has a private parking place.